When will consumers change their minds about the economy? While the stock market had a stellar year, home prices rose at the strongest rate since 2005 and auto sales hit post-recession highs, many Americans believe the United States is still in a recession. Only 19 percent of those polled said the economy is “excellent” or “good,” while 38 percent said it is “poor,” according to a recent survey by Gallup. More than half said the economy is getting worse. Despite such gloomy findings, however, Gallup and other pollsters say consumer confidence improved in the closing weeks of 2013. The Bloomberg consumer confidence index rose to its highest level since August. But it’s still not back to where it was before the recession. That said, 2013 made believers out of many investors. It has been a stellar year for the stock market with solid gains for most savers’ 401(k) retirement funds. The big stock S&P 500 index rose 29 percent, its best year since 1997. 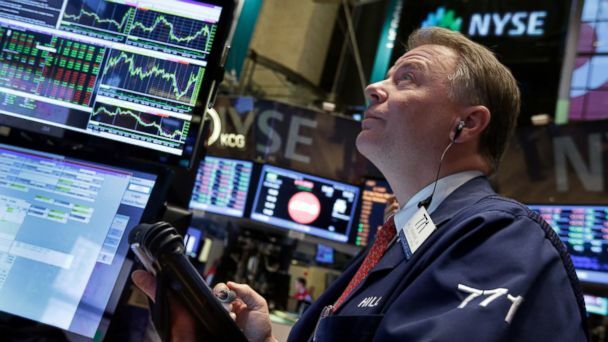 The high-technology Nasdaq gained 37 percent and the Dow Jones Index added 26 percent for the year. The housing market recovery broke new ground with average prices rising about 12 percent nationwide. New home construction rose and, in a small number of cities, home prices are now in record territory, gaining back all their losses from the housing bust. New vehicle sales also picked up speed. The shopping website Edmunds.com expects auto sales to hit about 15.5 million this year, which is the strongest result since 2007. The United States became the world’s leading producer of oil and natural gas this year. The rise in output and increasing energy efficiency helped lower costs for business and consumers. While gasoline prices remained high, “we’re going to end up averaging about $3.49 nationally this year which will be about 11 cents less than last year,” senior analyst Tom Kloza of gasbuddy.com said. The cost of energy, especially natural gas, for U.S. manufacturers is far lower than in Europe and Asia, giving the United States a competitive advantage. Many jobs that were lost during the recession never came back. Many discouraged workers who gave up looking for a job have not returned to the labor market. At year-end, long-term unemployment benefits for 1.3 million Americans and their families were cut off. While more than 2 million new jobs were created in 2013, a large share of them were low-income retail and restaurant positions. “I think consumers are very cautious and looking for those discounts,” Jack Kleinhenz, president of the National Association for Business Economics, said. Such caution underscores an economic divide. This year was especially good for the “haves,” but the “have-nots” have yet to see the real gains of the past two years trickle down to them.